biologically diverse that some have christened it the "American Serengeti." Front Range into parts of eastern Wyoming and northern New Mexico. Niobrara oil bed. Click image for larger version. Map courtesy of BLM. winter survival and fawning and calving areas." on valued landscapes across the West. these resources out of play in perpetuity is extremely shortsighted." Jackson County, where North Park Valley is located. Jan. 17. A final EIS and proposed plan are expected in the fall of 2012.
measures and resource uses, including oil and gas drilling. be refined to meet both energy development and conservation goals. will come out of this plan will be a blend of those varying alternatives." Saul, a National Wildlife Federation attorney in Boulder, Colo.
Colorado and one of the new energy development hot spots in the United States. 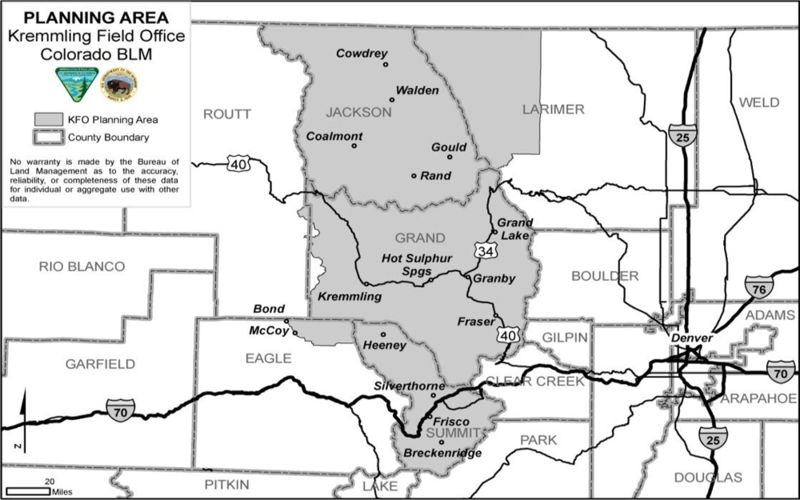 Colorado Oil and Gas Conservation Commission. Wildlife Federation and National Wildlife Federation to protect the region. high-water mark of a well-known tributary," she said. to read the draft RMP and accompanying draft EIS. Streater writes from Colorado Springs, Colo.
way to track policy and markets. publishes Thursdays at 10 a.m.